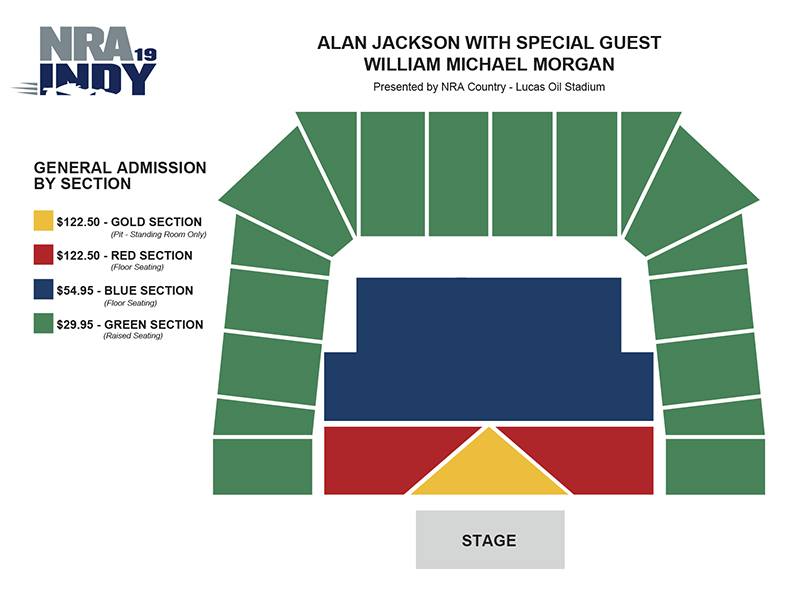 Join us and country icon Alan Jackson when he brings his 2019 tour to the Lucas Oil Stadium in Indianapolis on April 27, with special guest William Michael Morgan presented by NRA Country. Guaranteed to be a special evening, we will celebrate our freedoms and enjoy an amazing night of non-stop country hits. The musical journey will include hits such as “A Lot About Livin’ (And a Little ‘bout Love)”, “It’s Five O’Clock Somewhere”, “Where Were You (When the World Stopped Turning)” and “Chattahoochee”, among many others. Opening the show will be one of country music’s hottest new talents, William Michael Morgan. His first single, “I Met a Girl” hit #1 on the country radio charts and his style of traditional country music is guaranteed to get people on their feet. This will be a night to remember and you don’t want to miss it! Tickets start at just $29.95 and this show typically sells out so music fans shouldn’t wait to buy tickets! This concert takes place at Lucas Oil Stadium. SHOW BEGINS AT 7:00 PM. $122.50 – SOLD OUT! Red (floor seating) SOLD OUT! No professional cameras or video equipment permitted inside the venue. There are no exchanges or refunds or return of any service fees if applicable. For questions regarding ticket purchase, please call 800-514-3849.